You are here: Home / Types of Tea / Green Tea / First Tea Review: A Green Tea Frappuccino?! Oh, how our ancestors would shudder. 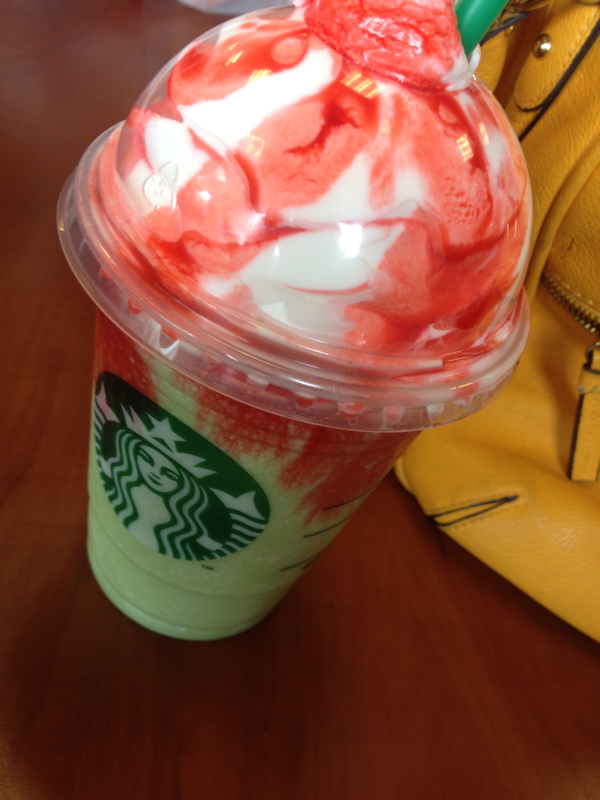 A tea…..frapp?! Tea should be tea, they would say. Hot, strong, and definitely devoid of any whipped cream, syrup, or excess sugar. And for the most part, I agree. I am, however, a complete sucker for Starbucks’ green tea frappuccino. It’s a thing of green, frothy beauty. It’s one of the only forms of matcha (heaven!) that I can find in the real world, so I’m all over it. I’m not a big fan of the price range ($3-$5), when the actual hot green tea starts at about 1 and a half dollars. But it makes for an amazingly satisfying splurge of sweetness every now and then…just don’t tell my great-great-great-grandma.